Amazon Kindle Fire HD review - the new Amazon tablet hits the market these days and the interest is huge so far. We suspect there are going to be some delays with most deliveries of the 7-inch Amazon Kindle Fire HD as many sellers are taking pre-orders which won't be shipped on time. 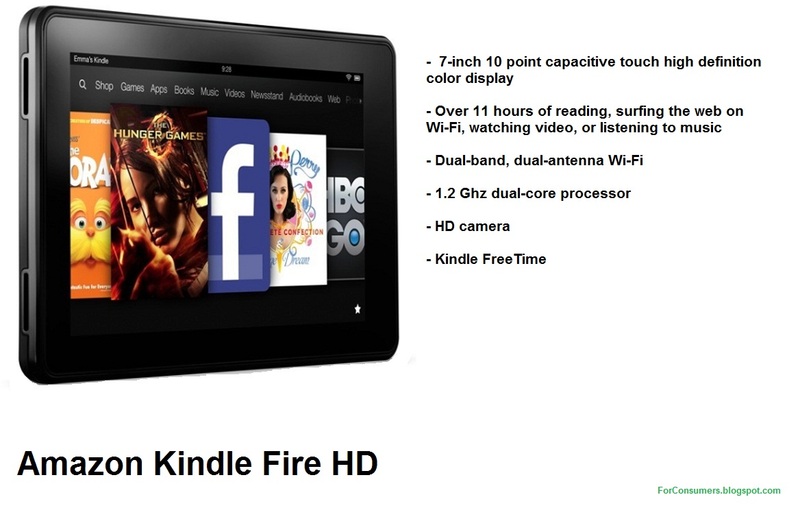 So what is the new Kindle Fire HD all about. First of all we should mention that there will be few different Kindle Fire HD tablets. 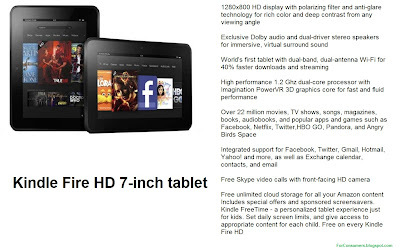 Three different versions of the new Amazon tablet will be available from 14 September. One of them will have a 7-inch screen and the other two will be equipped with 8.9-inch displays. The operating system for these is Amazon's OS based on Android 4.0 with plenty of interesting and useful applications specially developed for the Kindle Fire HD tablet. Kindle FreeTime - a personalized tablet experience just for kids. Set daily screen limits, and give access to appropriate content for each child. Free on every Kindle Fire HD.